The demand for nurses continues to grow steadily. NECC’s program, accredited by the Accreditation Commission for Education in Nursing and approved by the Massachusetts Board of Registration in Nursing, will prepare you to begin providing safe and effective nursing care to people of all ages. As working professionals, nurses may specialize in a particular disease, ailment or condition. They practice in a variety of settings and specialize in a particular disease, ailment or condition or they may provide basic health care to patients. Most nurses work as staff nurses, providing critical health care services along with physicians, surgeons, and other health care practitioners. See the US Bureau of Labor Statistics for median expected salaries and job trends in nursing. Students who complete an Associate Degree in Nursing may choose to directly enter the workforce or they may transfer into four-year programs for their Bachelor’s in Nursing. RN graduates interested in continuing their education to earn a Bachelor of Science degree in Nursing may consider exploring our bachelor degree completion partnership with Regis College at NECC. Associate Degree graduates may benefit from specific Articulation Agreements available among participating public and private higher education programs in the Commonwealth of Massachusetts and the surrounding New England region. Please contact the Academic Advising Department for further information, Students may also refer to the Transfer Programs and Events page. Students may also benefit from taking additional Non-Nursing courses to meet the requirements of the Mass Transfer Block if they are transferring to a Massachusetts State University or University of Massachusetts day program. For additional information go to the NECC Transfer Policies and Programs page. 2. Students’ completion of the nursing program. All students completed the program within 150% of the time stated program length. June 1-May 31 for Associate Degree; September 1-August 31 for Practical nursing certificate. ADN Day and Advanced Placement option: 100% of graduates report employment within one year. Practical Nursing Certificate: 100% of graduates report employment within one year. 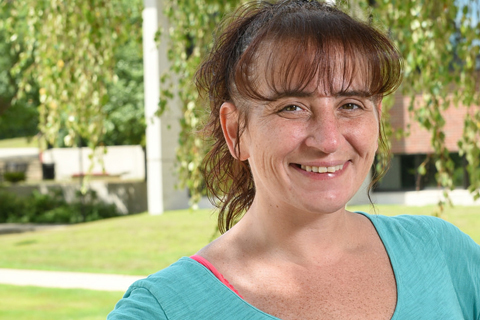 Nearly 20 years ago, when Erin Ring left Northern Essex Community College’s nursing program due to health issues, she promised herself that one day she would return. Her “one day” starts in September when she begins the nursing program funded in part by a Women of NECC Scholarship. Read Erin’s story.